Car accidents are the most common type of personal injury claim. With millions of motorists on the road each day, it is not surprising that there are thousands of car accidents daily. Although most accidents are minor, there are still thousands that result in injuries, many of which are serious or fatal. The City of Bourne is no exception when it comes to car collisions and serious injuries. 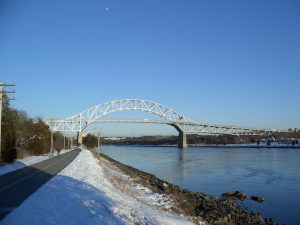 While the community may have no connection to the Bourne action movie series, as far as we know, Bourne is still a vibrant community of about 20,000 residents, lying about 55 miles south/southeast of Boston at the western end of Cape Cod. But with vibrancy and tourists from all across the nation flocking to the Cape each year, car accidents abound. If you were a victim of a car accident in Bourne, contact a Bourne car accident lawyer to handle your claim from start to finish. Most car accidents, however, are rea- end collisions. For example, while stopped and waiting for the light to turn green, you notice in your rear view mirror a distracted or impaired driver bearing down on you. To your horror, you suddenly realize that the car is not going to stop. You brace for the collision and the impact sends your head, neck and body back and then violently forward. If the vehicle was traveling at a high rate of speed or was a heavy vehicle such as a pickup, van, SUV or truck, then that vehicle could crush your car like an accordion. If you are injured at all, you will need a rear-end accident lawyer. But in the moments following the accident, you want to make sure that any passengers you have are either unharmed or taken care of by medical personnel at the scene. You will also want to ensure that you follow the law regarding exchange of license, registration and car insurance if you are capable of doing so. If you did not suffer any broken limbs or a serious head injury, then you still may have suffered an injury that is not immediately apparent. If you feel dizzy or disoriented, remain in your vehicle and wait for medical assistance. Under no circumstances should you talk about how the accident happened with the other motorist or with any passengers or passers-by who may have stopped to help. Do not refuse medical assistance in a serious impact since head injuries, back and neck sprains and internal injuries often do not manifest symptoms for several hours or even a day or two. Police will want to know what happened. If a simple rear-end collision, simply advise the officer that you were stopped and waiting for the light to turn or had stopped at a stop sign when you were suddenly rear-ended. If capable, take cell phone photographs of your car and the damage to it and of the other involved vehicle, the intersection, other involved persons, and the general area. If you have visible injuries, take photos of it or have someone do it for you. Contact your insurance company about the accident to report the claim. If you do not have visible injuries but still feel hazy or are in slight shock and are unsure of other injuries, tell your insurance agent that you plan to see your physician. Then make the appointment. Further, call a hit from behind car accident lawyer from the Burns and Jain Law Firm. Though rear-end accidents are generally clear as far as liability, some drivers who caused the accident may allege you stopped without warning and are comparatively at fault. In any case, you have the burden of proving your damages. Without a skilled and knowledgeable Bourne car accident lawyer prosecuting your claim, you could easily lose thousands of dollars in compensation that you otherwise should have recovered. Neck and back sprains are common in rear end accidents and are generally referred to as whip-lash injuries caused by the rapid or sudden acceleration-deceleration forces causing your head and neck to move rapidly forward and backward. This can strain and tear muscles and ligaments. In some cases, it can cause spinal injuries such as a herniated disc. A herniation compresses the nerves leading to numbness and pain in your neck, shoulders, and arms. Other symptoms are tingling and muscle weakness. While rest, physical therapy and anti-inflammatories can ease the pain and may be effective, persistent symptoms and severe pain may require surgery. Even if you are wearing a seat belt, and many drivers in Massachusetts do not, you can still sustain a serious injury in a rear end accident. All seat belts are not made equally, and some can rip or tear in an accident and cause you to strike your head on the windshield or chest into the steering wheel. In a rear end accident, it is not uncommon to exert extreme pressure on your foot, ankle and knee while bracing for impact that can lead to a broken ankle or a torn MCL or ACL. Defense insurance companies are often skeptical of injuries suffered in rear end accidents absent objective proof such as a broken limb.. Soft tissue injuries and even head injuries will be disputed in many cases. Getting prompt medical attention, a skilled physician, and an experienced rear end car accident lawyer are essential in these cases in getting fair compensation. Contact the law firm of Burns and Jain, knowledgeable and aggressive Bourne car accident lawyers who can get you the compensation your case deserves. Call us today at (617) 227-7423.